The central component of the installation is a 9-minute video interpretation of Aeschylus' The Suppliant Maidens. In the Greek play, the 50 Danaids, daughters of the king of Argos, are punished for the coerced murders of their cousin-husbands by being condemned to pour water endlessly into a broken cistern. In Cox's video, a row of women pour water from jarringly bright plastic buckets into a pool of water. 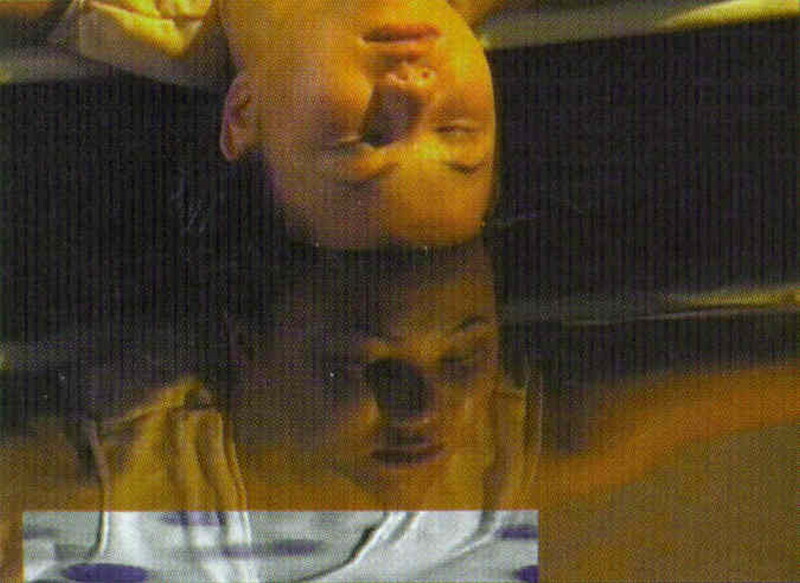 The video is mirrored in a rectangular pool of water installed in front of the screen. The only other light in the main room of the installation comes from strings of tiny white bulbs that illuminate a row of elbow-high shelves along the wall. Here are displayed casts of resected breast and testicular tissue and enlarged transparencies of stained cancer cells. At one point in the video, the camera zooms in on a bucket that floats unnaturally high in the water, reminding the viewer that the women are engaged in a seemingly hopeless task of restoring a contaminated resource. The women are barebreasted, but any idyllic references are deconstructed: some of the women have undergone radical mastectomy. The artist's statement also points out that "In many parts of the industrialized world, women are advised not to breastfeed as their milk is too toxic." Nonetheless, Cox writes, the "Roman bath" provides a "reflective opportunity": it "stands for the numerous natural elements that we are systematically affecting, and as a metaphor for cleansing." The combined preoccupations of environmentalism and breast cancer patient advocacy have a potent synergy. Evidence of an association between exposure to environmental toxins and the rising incidence of breast cancer is becoming more alarming. Epidemiologic corroboration aside, one cannot help but reflect that breast cancer more than any other neoplastic illness has metaphoric and mythic resonances capable of evoking a radical response. Despite recent exercises in consciousness-raising in areas such as prostate cancer and childhood leukemia, breast cancer remains the area of oncology capable of generating the greatest political charge.